Note from Wandermom: This past weekend I realized that I hadn’t written much about our time in Venice last June. Over the next week I’ll be writing about this – I hope you enjoy! Ah Venice! The city of canals and gondolas. When we visited, I do think BigB was sure that we’d only travel by gondola while we were there. Unfortunately, gondolas are not really practical for a family of four – with backpacks – and the directions to our accommodation recommended taking a vaporetto to S’Angelo. But, just like any traveler first arriving in a new city, we weren’t quite sure how to navigate (excuse the pun) this novel form of public transportation. So we sat on the steps of the Venezia Santa Lucia train station enjoying our first gelato of the day watching the vaporettos puttering into their assigned docks, disgorging of passengers and loading up again. The kids were fascinated. 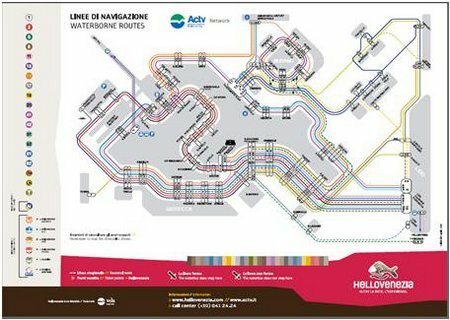 Single-journey vaporetto tickets are EU2 each. You can also buy tickets in half-day increments up to 72 hours or a 7-day pass. If you’re staying for longer than three days, you plan to use public transit and visit the many museums for which Venice is famous, a VENICE Card – which includes discounted admission to museums (and public restrooms!) is also available. If you arrive by train, there’s a ticket booth for ACTV tickets at the train station. There are children’s rates for the VENICE card but not for the multi-hour or multi-day ACTV tickets. You can buy tickets online at veniceconnected.com.